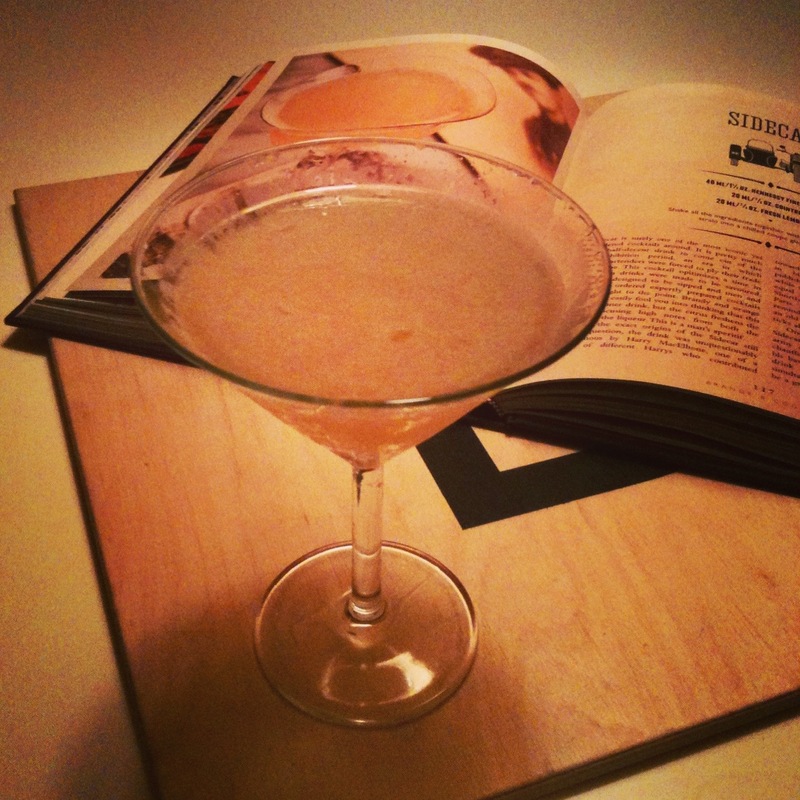 Following the disappointment with the Aviation earlier (too harsh, too acidic), I remembered another classic, lemon juice-based drink: the Sidecar. But, unlike the Aviation, this recipe is perfectly balanced, with proportions of one sour (the juice), one sweet (Triple Sec) & two strong (Brandy or Cognac). Shaken rapidly over ice, then strained into a cooled glass, the drink has a sharp and refreshing hit followed by a warming glow from the two alcohols. The combination of the two fruits, lemon & orange, are really well matched. 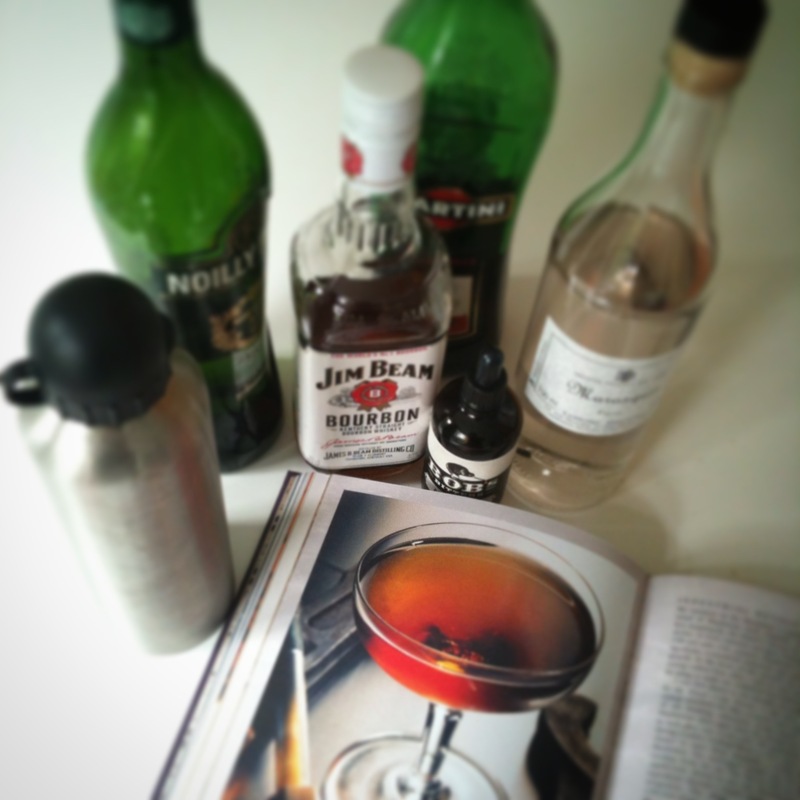 I used the proportions as laid out in Tristan Stephenson‘s book, the Curious Bartender, in a classic 1:1:2 combination. Made like this, the drink comes out as a sophisticated relative to the Margarita. Shake well in a shaker over cubed ice, then strain into the Martini glass. Without garnish is the traditional way to serve the drink.